Chopped Stone Natural Texas gray is a natural manufactured stone from the Texas Hill Country. 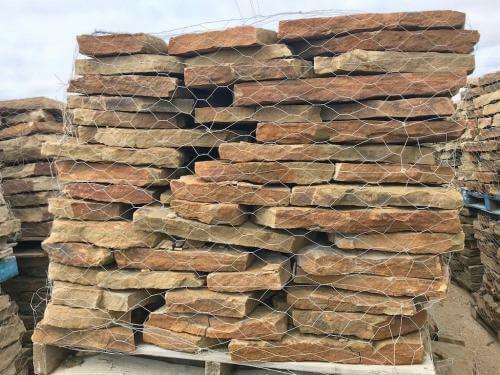 This stone is used as building supplies and landscaping materials. 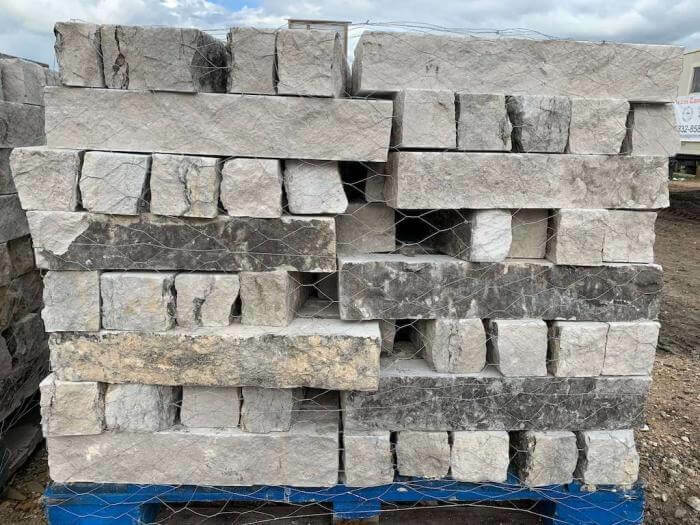 Therefore, chopped stone is commonly used for stone edging flowerbeds, outdoor kitchens, stone fireplace, stone siding, retaining walls, and more. Furthermore, this chopped stone is 4″x4″ in height and width, shaped in squares and rectangles. The stone is a product of nature, and its colors and sizes will vary. Therefore, it is a natural blend of two or more colors with natural chop edges, sawn top/bottom . All natural chopped stone vary in color, texture and character. The estimated coverage of stone will on average cover roughly 100 linear feet per ton depending on the pallet you choose. 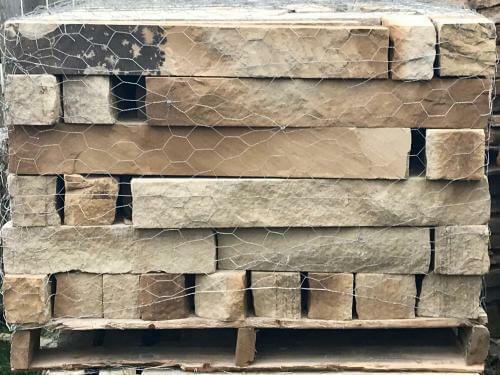 The lengths of the stone are mixed on a pallet from shorter to longer pieces. 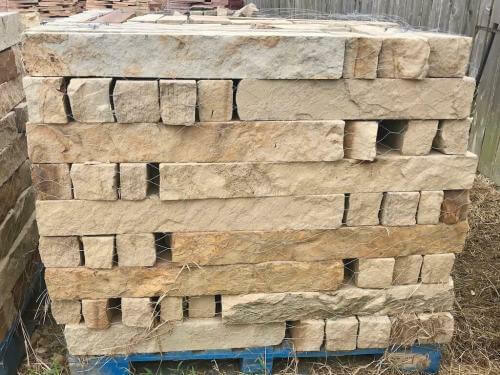 Texas Garden Materials carries and installs the best natural stone in Houston, TX that adds beauty and value to your property. 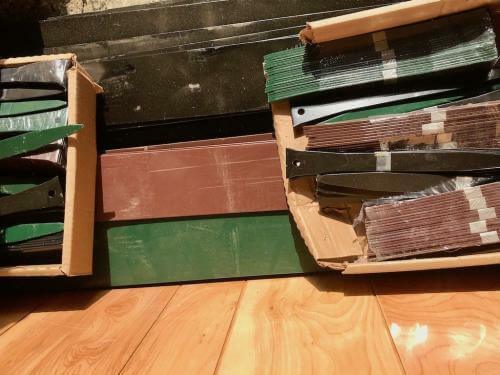 There are several edging options that come in various colors, shapes, sizes, textures, and materials. Click on the following link: Landscape Edging to see flower bed edging ideas. Contact Us and we will guide you to help you decide on the best stone for your property.